Satronix is one of the leading manufacturers of Factory Automation components and Power Electronics products in India for the last 30 years. Our mission is to provide High Quality, Cutting Edge, Cost-Effective products and robust automation solutions to our customers. 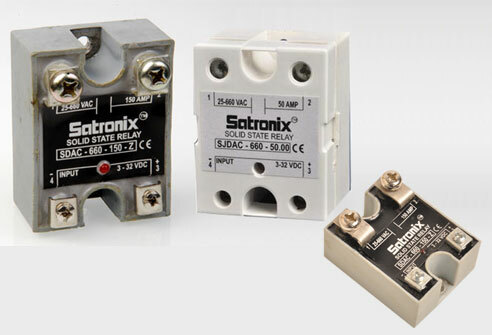 It was Satronix that introduced Solid State Relays to the Indian market about 30 years ago and has since become a brand synonymous with Solid State Relays. 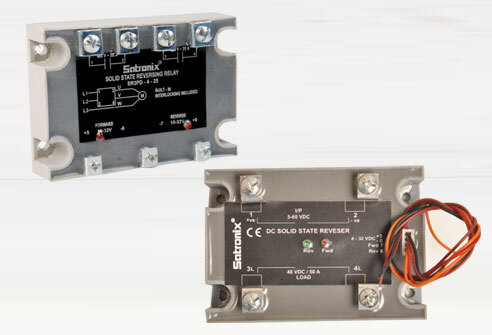 SDAC-660-.series is a SINGLE PHASE CAPACITOR SWITCHING SOLID STATE RELAYS – DC –AC from Satronix. It has two control options DC control with 3-32 VDC control voltage and AC Control with 160-280 VAC control voltage. It has rated operational voltage of 25- 690 VACrms and current options of 50, 75, 90 and 125 A. Dynamic Power Factor Correction systems are used to optimize the power factor and reduce the level of harmonics in the grid;The usage of certain new technologies in today's day industry has negative impacts on electric power quality i.e. frequent high load fluctuations and harmonics oscillations. Excessive voltages increased losses and flickering affects the supply capacity but has a great impact on the operation of sensitive electronic devices.